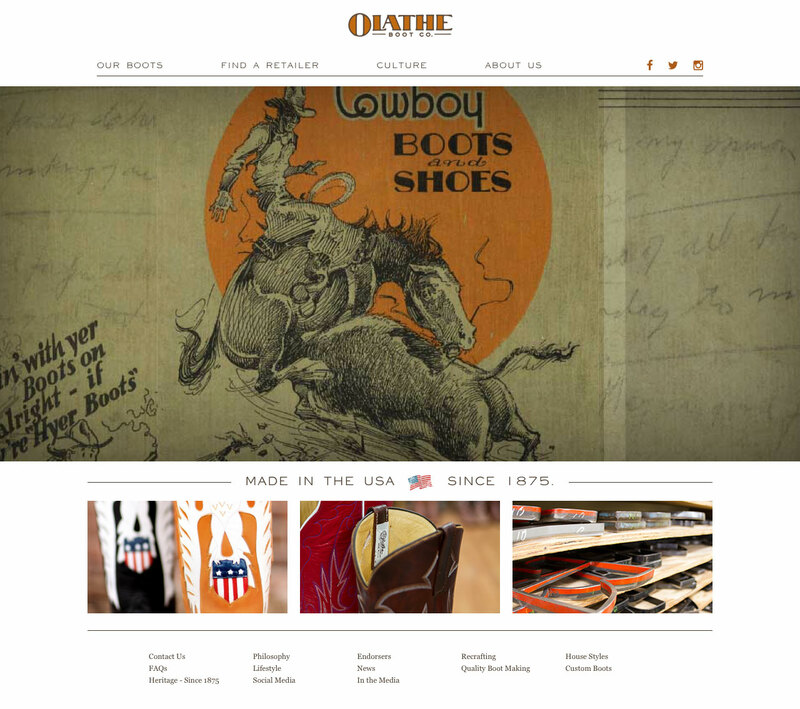 Olathe Boots has been creating hand-built boots since 1875. The website features a geolocation retailer locator, boot galleries and highlights the storied history of this all-American brand. This website was built in conjunction with the other corporate brand sites (Rios of Mercedes, Anderson Bean and HorsePower Boots) on a single content management system to streamline data management and administrative functions. "It is hard to capture everything Eric brings to the table in just three attributes. He is a very creative designer who has learned to balance his creative expertise with a professional and personable business side. He commits to deadlines and budgets, which when he helped us with a project for one of our largest clients, it made a significant impact on the success of the project. I would highly recommend him for any project."